If you are relatively new to the world of web hosting, you will be bombarded by advices and tips once you start looking into ways to host your brand new website (or indeed, even when you are at the planning stage or trying to find out whether you actually need a website or should simply go to a website builder). This article will hopefully help you avoid making them. A free hosting service might be useful if you are running your blog/website as a hobby or a community group. It will likely come with banners and pop-up ads though and search engines tend not to like websites hosted on free services. Note that there are good free web hosting services too but it is a very tough market to survive. They are notoriously unreliable when it comes to speed, uptime and availability and because you haven’t paid for anything, don’t expect any compensation if they disappear or suffer from downtime. Expect support to be minimal with no advanced features like free databases. You also risk losing credibility, particularly if you are hosted on a domain name like yourbusiness.get-free-hosting.com, rather than using a genuine domain name (although, some free web hosting providers do allow you to park your domain). The bottom line is you usually get what you paid for and if you paid nothing then don’t expect much. And web hosting doesn’t have to be expensive. We even compiled a list of the best cheap web hosting services here. Some web hosting companies do not provide a refund guarantee for their starter packages. Choose one that offers a money back guarantee in case you select the wrong package. A good hosting company will gladly refund you or move you onto a new package that suits your needs. After all, it is in their interests to make sure that you are a happy customer even if you leave them as you may well come back in the future should your circumstances change. 3. Choosing a shared web hosting package when you need a VPS, or vice versa. The two main types of web hosting packages you can select are shared or VPS. If your website is small and straightforward, shared hosting is the one for you. A Virtual Private Server is only required for websites with high traffic. If your small website grows in the future, you can always switch over to VPS or dedicated hosting, in the meantime save your hard-earned money with some shared hosting. 2. Assume the best website hosting packages cost more, so go for a higher priced package in the hope of getting better quality hosting. Hosting is a commodity, so it’s tempting to go for the cheapest plan available, on the other hand you might be tempted by some of the marketing jargon used to up-sell more expensive packages. In a very competitive market, price cuts and special offers will often be used to win customers, so don’t pay more than you need to and keep your eyes open for discount codes. The saying “you get what you pay for” doesn’t necessarily apply to paid web hosting, as a cheap package will quite often be perfectly adequate for a start-up website or personal blog. Keep in mind that the price you see advertised is a monthly price. When you get to the checkout that figure will be multiplied by 12 months and have VAT added on top. This is standard industry practice and most hosts will advertise pricing this way. You may also get a discount for going for longer periods (annual or bi-annual). You will come across terms like “unlimited” and “free” while searching for shared hosting packages. If it seems too good to be true, it probably is. “Unlimited” bandwidth and storage will have a limit. Check the terms and conditions to find out more, but restrictions of personal file storage are common, as are rules about certain types of media or streaming. 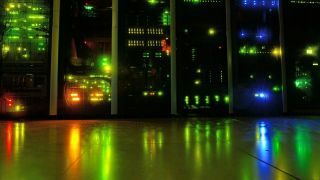 Hosting companies have to implement these restrictions to ensure the smooth running of the service for everyone on a shared server since resources (the electricity the server consumes, the bandwidth used by the server, the hard drives) do cost money. Ask your web host if you can do the following before signing up for a package: Maintain multiple POP accounts, add statistics to your account, install new software on your own, use a shopping cart on your website.